Because aerobatic flying subjects pilots to gravitational effects (G's) that can impair their ability to safely operate the aircraft, pilots who engage in aerobatics, or those who would take up such activity, should understand G's and some of their physiological effects. This circular provides background information on G's, their effect on the human body, and their role in safe flying. Suggestions are offered for avoiding problems caused by accelerations encountered in aerobatic maneuvers. Aerobatic flying demands the best of both aircraft and pilot. The aircraft must be highly maneuverable, yet tolerant of G loads. The pilot must possess skill and physiological stamina. He or she must be daring, yet mindful of the aircraft's limitations as well as his or her own. Federal Aviation Administration (FAA) Advisory Circular No. 91-48, "Acrobatics - Precision Flying with a Purpose," dated June 29, 1977, discusses some of the airworthiness and operational aspects of aerobatics, but does not consider biomedical factors. The most important of these biomedical factors is the pilot's response to accelerations (or G loading). The major physiological effects of G loading vary from reduced vision to loss of consciousness. The pilot who understands these effects will be better able to cope with them so that he or she can continue the sport of aerobatic flying. Aerobatics is said to have started in 1905 when Daniel J. Maloney at Santa Clara, California, in a glider descending from a tethered balloon, did a "side somersault," probably a roll. Later, another pilot, in the same glider, performed both left and right "side somersaults." A number of unintentional and deliberate maneuvers were performed in the early years of powered flight but the star performer was the Frenchman, Peguod. In 1913, Peguod jumped from his aircraft in the first demonstration of the use of a newly designed parachute; as he descended, he watched the unpiloted Bleriot go through a number of bizarre maneuvers that he thought might be repeated by a competent pilot. Later, Peguod astonished onlookers with such maneuvers as vertical S's, inside loops, inverted half loops with rolls, etc. Contrary to the comment in a leading flying publication of the day that "Peguoding is not to become fashionable in the French Army," aerobatic flying became an essential part of combat flying in World War I.
a. During the early years of aerobatics, no physiological effects of G loading were reported, probably because aircraft power and speed were limited. Perhaps the first reported disturbance due to G's occurred in 1918, when the pilot of a Sopwith Triplane noted that the sky appeared to be gray (grayout) just before he fainted during a tight turn at 4.5 G's. In 1927, Jimmy Doolittle, as part of his graduate studies in aeronautical engineering at the Massachusetts Institute of Technology, mounted a recording accelerometer in a Fokker PW aircraft and logged G's during aerobatic maneuvers. He reported that in a sustained 4.7 G condition (power spiral) he began to lose his sight and, for a short time, everything went black. He retained all faculties except sight and had no difficulty in righting the airplane. b. With increased military use of aircraft, there was an increased interest in the effects of G's on pilots. U.S. Navy pilots experienced diminished vision, and sometimes lost consciousness, during pullouts from dive bombing runs. A need to study the effects of acceleration under controlled conditions led to the development of large centrifuges in which human subjects could be exposed to G's while they attempted to perform certain flying tasks. The development of higher performance aircraft encouraged the development of strategies for combating the effects of G forces. Nowadays, anti-G suits and muscle tensing or grunting procedures (M-1, L-1 maneuvers), etc., are used to protect the pilots and crews from these effects. c. For tactical reasons, military aircraft have evolved toward highly maneuverable machines controlled by well trained pilots who are well equipped for high acceleration. Civilian aviation, for the most part, has not developed along these lines. The inconveniences and hazards of acceleration are of little importance to civilian pilots, except those who engage in aerobatics. 4. G's AND THEIR PHYSIOLOGICAL EFFECTS. A G may be thought of as the force or "pull" of gravity upon a body. On the earth, this pull causes the body to have a certain weight. When an elevator, car, or airplane accelerates, slows down, or changes direction, objects and occupants appear to move, be thrown, or centrifuged (they experience an acceleration) in the opposite direction. These changes, occurring in speeding up (acceleration) or slowing down (deceleration), may be referred to as G's. For example, consider a pullup from a dive as illustrated in Figure 1. The amount of G experienced by the pilot depends on how vigorously the pilot pulls back on the controls and how readily the aircraft responds. Assume, however, that the pilot "pulls" +4 G's; if the pilot were on scales, he or she would appear to weigh four times his or her usual weight. The G's in this case are designated with a positive (+) number because of their direction. Now, imagine a pushover at the start of a dive (Figure 2). The aircraft changes direction in such a way that the pilot tends to be thrown upward and outward. The pilot may have the sensation of weightlessness; indeed, if the pilot were on scales, he or she would weigh less. The notation used would be in negative (-) numbers because of the direction of the acceleration in relation to the axes of the body. a. One notational system for describing G's is based on reference to the direction of accelerations to the axes of the pilot as he sits in the cockpit (Figure 3). Fore and aft accelerations (Gx), and lateral accelerations (Gy) have little effect on our physiology and can be tolerated better than can head to foot accelerations (+Gz); and the reverse, foot to head G's (-Gz). b. The main effects of Gz accelerations are upon the blood in blood vessels. The +Gz effects encountered in the pullout of a dive (Figure 1) will impel the fluid columns of blood toward the lower portions of the body; the output of blood from the heart will thus be reduced and so will the blood supply to the eyes and brain, which require a steady blood supply for normal functioning. Diminished blood flow and the consequently diminished oxygen supply to the head can lead to disturbances of vision, inability to coordinate muscular activity, and unconsciousness. (1) Grayout. There is graying of vision caused by diminished flow of blood to the eyes. Although there is no associated physical impairment, this condition should serve as a warning of a significant impairment of blood flow to the head. (2) Blackout. Vision is completely lost. This condition results when the oxygen supply to the light sensitive retinal cells is severely reduced. Contrary to other common usages of the term, consciousness is maintained. In blackout, some mental activity and muscle function remains, thus the occurrence of blackout warns of seriously reduced blood flow to the head and of a high risk of loss of consciousness. Note: In some centrifuge studies, 50 percent of the pilots had simultaneous blackout and loss of consciousness. Therefore, a pilot cannot rely on blackout to precede loss of consciousness. (3) Loss of Consciousness. When the blood flow through the brain is reduced to a certain level, the pilot will lose consciousness. He or she may have jerking, convulsive movements; these have been seen in many subjects of centrifuge studies and in some pilots during actual flight. The pilot will slump in his or her seat. Possibly, the pilot will fall against the controls, causing the aircraft to enter flight configurations from which it cannot recover even if consciousness is regained. In centrifuge studies, many pilots lost (and regained) consciousness without realizing they had done so. (4) How long does induced unconsciousness last? In a series of studies of pilots in centrifuges, the pilots were unconscious for an average of 15 seconds. Following this, there was an additional 5 to 15 second interval of disorientation. Thus, if there is loss of consciousness due to +Gz forces, there will be a 20 to 30 second (or longer) period during which the pilot is not in control of his or her aircraft. b. Negative Gz Effects. Negative Gz is encountered when acceleration is in a foot to head direction, such as might be obtained during inverted flight, or during an outside loop or pushover maneuver (see Figure 2). Blood is then pushed toward the head, and the amount of blood returning from the head is diminished, so the blood tends to stagnate, particularly in the head. Under mild conditions of -Gz forces, the pilot will feel congestion, as when standing on his or her head. Engorgement of blood vessels causes a reddening or flushing of the facial skin. Blood vessels in the eyes will become dilated. Some persons may experience a headache. A condition termed "redout" may occur. This may be due in part to congestion but may also occur when the lower eyelid, reacting to -Gz, rises to cover the pupil, so that one sees light through the eyelid. (1) Little is known about the effects of high -Gz on humans because -Gz accelerations have caused considerable discomfort in those studied. Aerobatic pilots have reported small hemorrhages in the eyes and skin. Harold Krier, an accomplished aerobatic pilot, wrote that if he got a pain in the top of his head while pulling -G's, he eased off on the controls to reduce the G loading. (2) The blood vessels in the brain tolerate mild -Gz stresses well, but the increased blood pressure in the chest and neck causes a slowing of the heart in virtually all subjects. In a few individuals, there is such a marked slowing of the heart that there are intervals of several seconds between beats. In some people, the heart may beat irregularly after -Gz exposure. The slowing of the heart and irregularities of beats can add to the stagnation of blood in the brain. Thus, it appears that the greatest threat from -Gz is the loss of consciousness from the slowing of the heart, irregularities of the heartbeats, and stagnation of blood in the head. 6. ILLUSTRATIVE ACCIDENTS AND INCIDENTS. Obviously, much aerobatic activity takes place without imposing any ill effects on pilots. G incapacitation may be a serious matter in some military aviation activities, but is it of concern in civil aerobatic flying? The following illustrative cases suggest that it is. a. Case I. A 32 year old pilot was practicing for an airshow. His observer on the ground watched the aircraft complete a Cuban 8 maneuver, make an uncontrolled descent, and crash. The pilot died. Because of the aircraft's movements and since no mechanical problems were found, the accident investigators suspected that the pilot had become incapacitated. An autopsy and toxicological tests showed no condition that might have contributed to incapacitation. However, the medical history indicated the pilot had a chronic heart condition. He had occasionally passed out when his heart underwent a change to very rapid beating. It was ruled that the most probable cause of the accident was the pilot's underlying heart condition, which had made him more susceptible to the G's of aerobatic maneuvers. He had lost consciousness and control of the aircraft. b. Case II. A pilot who survived an episode of unconsciousness in flight reported the incident. As he practiced normal inverted turns, the nose of the aircraft began to drop and outside reference was lost. He applied forward stick pressure, producing 2.1 to 2.3 negative G's. In his last conscious act he reduced power (to idle). He thought he had lost consciousness for 3 to 4 seconds. Regaining consciousness, he found a nose high attitude and the G meter needles were pointing to positive 9 and negative 2.4. Later inspection of the aircraft revealed that most of the metal ribs near the front spar of both wings were deformed and one wing spar brace was bent. Medical records revealed no condition that might have led to loss of consciousness. Had the pilot not regained consciousness in time to control the aircraft, the stated cause of the accident may well have been, "exceeded design stress limits of the aircraft." c. Case III. During a practice flight, an experienced aerobatic pilot completed a series of 18 maneuvers and, after a short rest, began his "free" sequence of 23 maneuvers under the watchful eye of his ground observer, a judge of aerobatic flying. After the 19th maneuver, a three-quarter outside loop followed by 2 1/2 rolls from inverted to upright, the aircraft flew straight and level for a short time, departed from the practice box in a 45° nosedown attitude, and crashed. The pilot was killed. He had not responded to a radio call made just before impact. The events suggest that the pilot had become incapacitated. Postmortem examination did not reveal preexisting disease that could be related to the accident. d. Case IV. In a discussion of G induced loss of consciousness in civil pilots, Art Scholl, an outstanding aerobatic pilot told of a relevant episode. On the day of the incident he was not feeling well. He attempted a vertical 8 "the hard way," an outside loop on the top and an inside loop on the bottom. He completed the top loop and was pulling out of the bottom loop when he imagined he heard the sound of a clock alarm and he had the vague thought that there was some urgency in "getting up," that there was something important to do. When he became fully conscious, the aircraft was flying inverted about a mile away from the practice box. This was his only experience of unconsciousness during an aerobatic maneuver. e. Other cases could be cited. Because of inadequate investigating and reporting systems, we do not know how frequently G induced loss of consciousness causes civil aerobatic accidents. Each year, however, there are a number of well documented incidents in which military students or instructors experience loss of consciousness during maneuvers at 3 to 5 +Gz, a level of acceleration frequently encountered in civil aerobatic maneuvers. Because of the number of factors involved, it is difficult to predict how much acceleration a certain individual can withstand. Tolerance is related to the rate of onset of acceleration and to the duration of exposure. Individual tolerance depends on factors such as the height of the person, age, elasticity of the blood vessels, training, the responses of the heart and blood vessels, and on health. Because of the many variables involved, the centrifuge data in the following table are useful only as an estimate of the average civilian pilot's tolerance to +Gz (little is known of tolerance to -Gz). These data were collected from 1,000 Naval aviation pilots and aviation personnel and apply to rates of onset of about +1 G per second - a rate that well may be encountered in civil aerobatic maneuvers. a. Note that at an onset rate of 1 G per second, the G values in Table 1 could just as well be expressed in seconds. Thus, the "average" pilot accelerating at 1 G per second could expect to have grayout at 4.1 seconds, blackout at 4.7 seconds, and unconsciousness at 5.4 seconds. More sensitive pilots, however, might have grayout, blackout, and unconsciousness at 2.2, 2.7, and 3.0 seconds. If the rate of onset were greater, then symptoms of grayout, blackout, and loss of consciousness would occur sooner. b. A major outcome of these centrifuge studies was the demonstration of significant variations among subjects. The act of piloting an aircraft can raise the acceleration tolerance; thus, the results of some centrifuge studies during which the subject was passive may not apply directly to flight. This increased tolerance is not so great, however, that the aerobatic pilot should consider himself or herself immune to G incapacitation. c. Tolerance of -Gz (foot to head) has not been studied intensively. About -1 Gz produces an unpleasant congestion of blood in the face and head; -2 to -3 Gz causes severe congestion of the face, throbbing headache, progressively blurring, graying, or occasionally reddening of vision. After exposure to -Gz, there may be tiny hemorrhages in the skin and eyes and the eyelids may be swollen. Minus 5 Gz for 5 seconds is probably the upper limit of tolerance; this level has seldom been achieved by volunteer subjects. Unlike military flying in which -Gz does not present much of a problem, aerobatic flying may demand that a pilot spend over half of his or her air time in inverted flight, pulling -Gz. d. One little known, but important, aspect of tolerance to G's is the effect of rapid changes from +Gz to -Gz, or vice versa. Because aerobatics induce such rapid changes, tolerance to changes could be highly significant. It is known, for example, that when one is subjected to -Gz, blood pressure receptors in the head and chest respond to the increased pressure and cause a reflex slowing of the heart (Figure 4). A rapid change to +Gz (for example, when the pilot executes a half-roll during a maneuver) would suddenly drop blood pressure in these receptors and there would be a rapid speeding up of the heart to maintain pressure; but because the reflex system requires some time to sense the need, the heart could be delayed in responding to this demand and blood flow to the brain might suddenly decrease. Because of the sudden transition, and possible delay in response of the heart, a vertical 8 with an outside loop on top (-Gz) and an inside loop on the bottom (+Gz) may be one of the most threatening of aerobatic maneuvers (Figure 5). An inability of the cardiovascular system to react to the rapid change from -Gz to +Gz was probably the basis for the loss of consciousness reported in Case IV, Paragraph 6.d. e. Obviously, some persons can withstand greater G's than others. Even experienced military pilots in a simulated aerial combat maneuver using anti-G procedures (M-1, L-1 maneuvers) could remain conscious only about 6 to 7 seconds. Everyone has a limit. Seasoned aerobatic pilots may represent a selected group because persons with less physiological resistance probably drop out of aerobatics before reaching the highest levels of performance. The aerobatic pilot will realize the potential hazards of G's and will seek to find the level of acceleration he or she can safely endure. The ordinary accelerometer in an aerobatic aircraft "pegs out" at a maximum and a minimum value and gives no indication of the duration of the G's, so that the accelerometer record has little significance as a record of physiological stress. National Aeronautics and Space Administration (NASA) data show that a range of +8 Gz to -6 Gz (the limit of the accelerometer) can occur during aerobatic competition, but such values lack the time element. In one study both G's and time were recorded during four competitive sequences or airshows. The pilot experienced negative G's about half of the total time spent in the performance. a. Approximately 10 percent of the time he was pulling +2 Gz or more with spikes to +5.4 Gz, and about 10 percent of the time he pulled -3 Gz or more with spikes to -5.2 Gz. In an "obligatory" outside 360 degree turn the pilot experienced -2 Gz or more for 32 seconds. b. The horizontal rolling 360 degree turn produced rapid and repeated G oscillations. In 28 seconds the pilot experienced 6 major G excursions: -3.4, +2.3, -3.5, +2.0, -4.0, and +2.3. The first transition from negative to positive G's was 5.7 G's in 2 seconds, or approximately 2.9 G's/second. FIGURE 5. Negative and positive G's recorded second by second during the outside (upper loop) / inside (lower loop) vertical 8 maneuver. The major physiological consequences are indicated at their respective positions in the maneuver. The rapid change from negative to positive is particularly stressful. (See Case IV, Paragraph 6.d). a. If you are just beginning in aerobatics, fly with an instructor. Take advantage of the instructor's experience and knowledge. b. Ask the instructor to familiarize you with the "feel" of various maneuvers, not only the rapid executions expertly done, but the hesitant, sluggish ones you will be doing in your early practice. Remember that the rate of onset of acceleration is an important factor that you must learn to appreciate. c. If you experience dimming or graying of vision during flight, realize that this represents diminished blood flow through the eyes and that you may be close to your tolerance limit. Ease off on the controls to reduce the G load. d. If you experience incapacitation or have any lingering symptoms as a result of aerobatics, consult a knowledgeable flight surgeon before you resume flying. Some people may be unusually susceptible to G loading. If you are one of these, you need to know about it; you may not be so lucky the next time. e. Frequent exposure to G stress may "tune" the human system, making it less sensitive to higher G loads. If you have not flown aerobatics for some time, begin with the simpler, less stressful maneuvers when you take it up again. f. Physical conditioning does not seem to increase tolerance to G loads; marathon running lowers tolerance. On the other hand, a well tuned cardiovascular system seems to recover more rapidly from many different kinds of stress. Keep in shape. g. Be especially mindful of your current physical condition. Do you really "feel" like aerobatics today? If you don't feel well, wait until you do. Consult a physician if you have any doubts about your health. h. Be careful of what, and how, you eat. Adequate exercise and diet help to maintain your blood sugar at normal levels. A low level of blood sugar can make you very sensitive to G loading. Remember that after a high carbohydrate meal (e.g., pancakes and syrup, or candy bars), the blood sugar will fall in about an hour, sometimes quicker, so avoid such meals. Eat well balanced, light meals before flying. A large meal could cause pooling of the blood in the digestive tract and decrease G tolerance by reducing the amount of blood available to the general circulation. i. Be aware that if you are accustomed to flying in a coastal region and then undertake the same aerobatics at a region of higher altitude, such as Denver, Colorado, you will have a lowered tolerance to G's. The oxygen content of the blood is lowered by exposure to the higher altitude, and the oxygen supply to the brain might be reduced to critical levels during +Gz loading. j. Remember that anything that reduces blood volume or cardiovascular response may reduce G tolerance. Dehydration, excessive sweating, severe sunburn, low blood pressure, prolonged standing or sitting, hypoxia, infection (even minor illnesses), and medications all lower G tolerance. Alcohol and hangovers will reduce your ability to perform aerobatic maneuvers. Make sure you are as fit as your aircraft. k. Become acquainted with some of the tricks used by military pilots to reduce the effects of acceleration. For example, some of the circulatory effects of +Gz can be counteracted by the M-1 maneuver. This is done by pulling the head down between the shoulders, tensing muscles (especially abdominal and chest muscles), partially closing the glottis and exhaling slowly in a straining, grunting manner over a long period. Do not hold your breath. The M-1 maneuver or a variation, the L-1 maneuver (similar to the M-1 maneuver except one attempts to exhale against a closed glottis while tensing all peripheral muscles), can increase blood flow through the brain and raise your tolerance to +Gz. There is no method to counter the effects of -Gz. Aerobatic flying is a beautiful coordination of pilot and aircraft. It requires a well engineered aircraft and a highly skilled pilot. 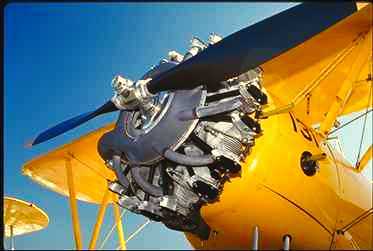 Many pilots believe the restricting factors in aerobatics to be the load limits of the aircraft. For the exceptional pilot this may be so, but for some it is the ability of the pilot to withstand the accelerations of the maneuvers. The truly skilled pilot will know his or her limitations, will train to extend them, and will avoid conditions that lower tolerance and jeopardize safety. (1) G Effects on the Pilot During Aerobatics, S. R. Mobler, M.D., FAA-AM-72-28. (2) G Incapacitation in Aerobatic Pilots: A Flight Hazard, W. R. Kirkham, M.D., Ph.D., S. M. Wicks, and D. L. Lowrey, FAA-AM-82-13. b. The reports are available to the public through the National Technical Information Service, U.S. Department of Commerce, 5285 Port Royal Road, Springfield, Virginia 22161.